The Scotia Feast of Fortune is a Chinese New Year celebration that focuses on fine dining and raising funds for priority equipment at Mount Saint Joseph Hospital. Mount Saint Joseph Hospital hopes to raise funds for patients needing emergency care as the need is growing every year. The emergency Department visits have grown by 27 per cent since 2010. The Tapestry Foundation is aiming to raise $800,000 for vital equipment to treat patients with life-threatening health problems. For example, advanced diagnostic imaging technology and life-saving equipment are in great demand. The Feast of Fortune features winners of 2015 Chinese Restaurants Awards. 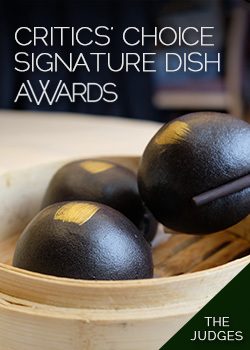 These winners include Keong Wong, Dim Sum Head Chef of Peninsula Seafood Restaurant, Tony Luk, Culinary Director of The Jade Seafood Restaurant, Tony Zhang, Dim Sum Chef of The Jade Seafood Restaurant, Yu Kam Tong, Dim Sum Head Chef of Yue Delicacy Restaurant and Markx Wu, Executive Chef of Maji Restaurant. Performances include the lion dance by the Royal Pacific Realty Lion Sports Club, traditional dance by the Vancouver Chinese Mama Society, pianist Trevor Hoffman and R & B artist Jerrica Santos.